Project is questionable: few details, lots of enthusiasm. There is a working API and a few solutions based on it. But the problems the platform solves (and the way it solves them) are questionable. We have a lot of questions for the team. For now, the verdict is: Questionable. Cheap, distributed, permanent data storage on the blockchain. The Blockweave — a new distributed ledger. It’s based on a new consensus mechanism called “Proof of Access.” Supposed to be really quick and effective (ok, we’ll see). Self-Organising Network — they have some magic “wildfire” algorithm that allows the network topology to adapt autonomously to the most efficient routes of information distribution. High Transaction Throughput — after years of research, they invented “block shadows,” which allow the weave to reach speeds of 5,000 transactions per second. Simple Decentralised App Development — They have REST APIs that allow others to use their tech even before the mainnet’s launch — and in any programming language! The Journal of Raw Data — open access journal for hospitals. Legal Document Storage — users can permanently store all their legal files. Looks like the most basic example of using Ethereum smart contracts. Nothing difficult here at all. For example, if you open remix.ethereum.org, you can download the voting code. Seriously — try it! But wait, they also have an API! Didn’t get to explore it, but good that they have something. Basic one-pager, can be done overnight. Typical “Welcome to the future” heading; basic animation in the background — nothing special. All the links go back to the homepage (just point to different sections). The section “What Our Community Thinks” could be confused for the project’s team (it isn’t). Partner mentions have no links — are they ashamed of their partners? Site protected by CloudFlare. Direct IP not found. They have 30,000 Telegram followers, 3,000 on Twitter. Much less activity on Facebook and YouTube. Periodically post on Medium. Overall, their social presence is ok. The central figure here is Sam Williams — the founder and creative force behind the project. Actively tours conferences promoting the project. Nearly all other team members studied with Sam at the University of Kent or University of Nottingham (except Matt Lockyer and India Raybould). All team members list themselves as Arweave employees on social media ( except Adam Kennedy and Matt Lockyer). Matt Lockyer did retweet about the project and praised it, so we’re counting that. Adam Kennedy is a freelancer, so maybe is just hired as such by Arweave. There is no doubt that the team is real. The project has its own YouTube channel, which features mostly Sam Williams and William Jones. Most of the team seen photographed together. Hard to tell — or most of the team, this is their first project post-university. Except that Kyle Beckles worked on three (non-blockchain) projects already. Matt Lockyer, too, has a career going back to 2008. Although most of that is teaching at the university. Only in 2017, for 9 months he was Head of Blockchain Solutions at The Vanbex Group. Matt is clearly the most experienced team member (and at least partially was involved with blockchain technology in the past). It’s also noteworthy Sam Williams and William Jones registered a joint company as of June 28th, 2017: Minimum Spanning Technologies (Company Number: 10889544). It was founded with the initial capital of 100,000 GPB (75,000 from Sam Williams and 35,000 from William Jones — https://uk-r.org/company/10889544/get_pdf/28409967.pdf). But that was reduced to just 100 GPB on October 6th, 2017 (none of which at the date hereof have been issued or paid up — https://uk-r.org/company/10889544/get_pdf/28409968.pdf). Aka, they opened a 100,000 pound company but deposited only 100 pounds. Found no info about NORTHBLOCK. At all. Except that they are partner with the Cryptonaire Consulting Group Inc., which was founded in 2018, has 4 employees, and does consulting (“CCG is able to consult for both projects that are looking to ICO along with existing projects that need assistance in achieving their goals.”). 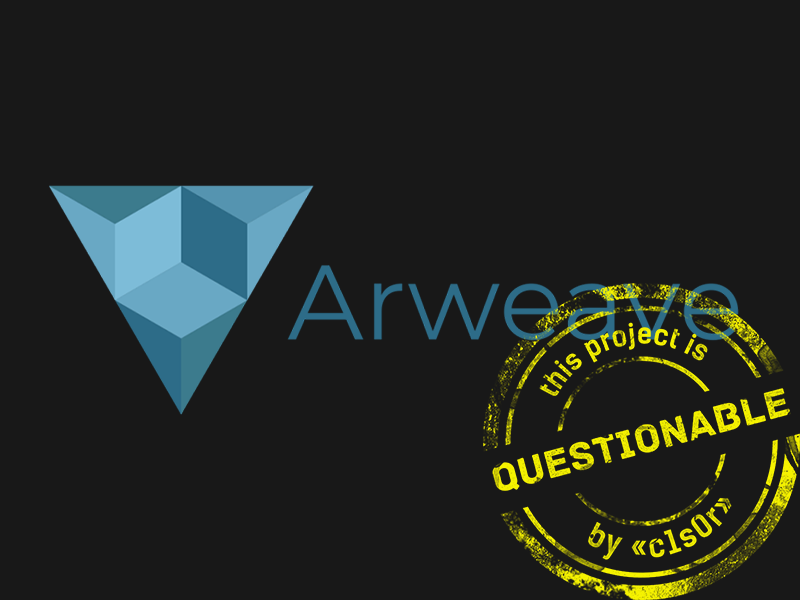 Note that Arweave is a client of CCG. SHELF AUCTIONNING NETWORK and TheJournalofRawData.org are most likely not partners but rather friends of the project, since both are still in development stages. Jesper Noehr — Co-founder of Upvest. Not listed as an advisor on LinkedIn. 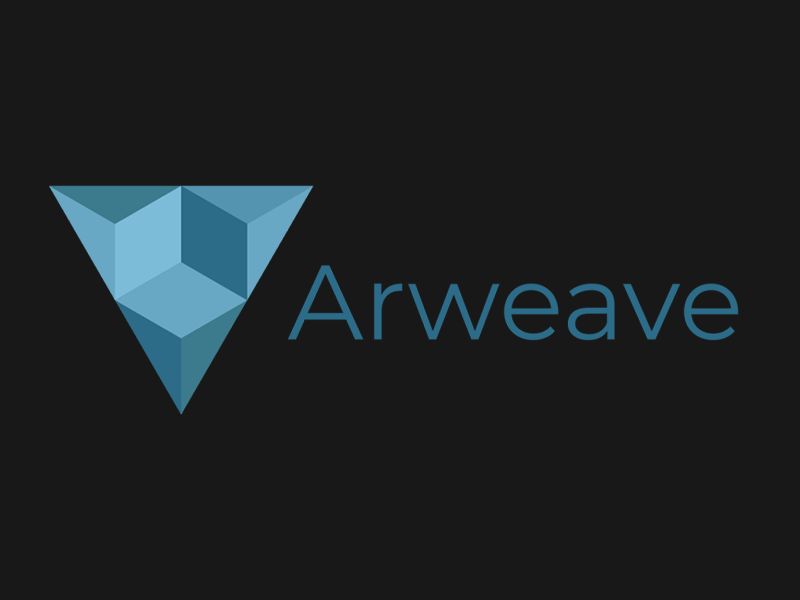 But does actively support Arweave on his social media. He’s the founder of Bitbucket, which says a lot. Jeremy Epstein — CEO of Never Stop Marketing, “has 20 years of international marketing experience in helping to bring innovative technologies into the mainstream. Passionate about crypto, blockchain, and decentralised technology, Jeremy is a former adviser to IOTA and other successful cryptocurrency projects, and blogs voraciously about related topics.” Not listed as an advisor on LinkedIn. But on his neverstopmarketing.com wrote a few articles about them. Bruno Meireles de Sousa — “High performing executive, with 20 years’ experience as a global business leader who has succeeded in delivering significant results and business change in B2B, B2C & B2G across multiple cultures and multiple sectors.” Did list himself as an advisor on LinkedIn. Anthony Ryan — “Anthony is the Head of Growth at Quantstamp, mentored at Startup Weekend, first employee at Australia’s largest robo-advisor Clover.com.au, sold numerous online businesses, and has been investing in crypto since 2014.” Did list himself as an advisor on LinkedIn. Overall, all advisors are experts with a good reputation. Only 11 pages… and this with Mainnet launch scheduled in a few days…. Great, again they talk about content never being stored permanently and that they will fix this “problem” — WTF? Nothing special! Any file placed into a blockchain is protected from being modified! It pains us to have to repeat this obvious basic fact of blockchains. The very problems are pulled from thin air. The first problem is solvable by taking a hash of the file (each file has its unique hash. If even a byte of info in the file is modified — let’s say from 0 to 1 — that file’s hash will change quite a bit; therefore you can’t falsify such a file). The second problem is solved by having a secure connection between users and repository of data (HTTPS, sFTP, VPN, etc…). Payment for file storage goes to miners, with the price itself being pretty small. They expect token price to rise, thereby increasing mining reward value. There are no details or numbers — just promises. Wallet list — “a list of all active wallets in the system.” Allows to verify a transaction without checking every transaction in the block. The minimum set of data to start mining is a lot smaller than for a typical blockchain. Using these concepts, new miners can quickly start working. The platform uses an “ongoing verification” system. Each node can at any time perform a full weave verification. Instead of using the current block for generating the next one, miners take any of the old blocks (“recall block”) so they can create a new one faster. They use a hash from the old block alongside a hash from the current block — and send both to other miners. This way, using the hash from the current block, others can verify that the old block was selected honestly. Per the lightpaper, miners don’t need to store all the blocks to generate a new block, since they use the hash of the current and recall blocks for creating the next block. Again, the recall block is a randomly chosen previous block. Since anyone can verify the hashes from the current block, they can also know that the old block is real. This allows the other members of the network, even those without their own copy of the recall block, to independently verify that the new block is valid. Wildfire is a kind of rating system based on the transaction processing speed and the speed of receiving information from other peers. The faster the peer, the higher the rating — with a financial incentive for being highly rated by other peers. The big bonus here is that this system sets up a topology that ensures the most effective paths for quick relay of data across the network. The platform’s creators are very concerned with making sure that files could be downloaded from the network in the fastest (and free) way. Instead of transferring the entire block between nodes, you transfer its shadow (which alter allows to reconstruct the entire block). “Blockshadows contain a hash of the wallet list and hashlist, and a list of transaction hashes.” This lowers the load on the network and inreases the speed of block transfers in the network. The team promises that the system is protected from high transaction commissions even at high intensity usage of the network. Intheory, 5,000 TPS are possible in a 100Mbps network. Each node can indicate which files it will not store. They can send these blacklists to other nodes or download them. If more than half of the nodes have the same file in the blacklist — the file gets put on the network’s overall blacklist. Developers launch a server/cloud that can interact with a number of the platform’s nodes. There is also an option for creating serverless solutions. They suggest using this platform for notifications. When something happens in the system, the developers can process it using API. The architecture of dApps can be planned to be unhackable. For example, the part of the code responsible for critical parts of the program (e.g. Random number generator or user authorization) can be sent into the arweave. Ok, so they’re offering a cheap, distributed, permanent data storage on the blockchain. Q: What do you mean, “permanent”? Isn’t data stored on the blockchain not permanent already? Any information stored on the blockchain remains there permanently. So this sounds like pure marketing. distributed — wow, really? Distributed app on the blockchain? No way! cheap — so how will they make money? Just by cashing in via an ICO? So the most basic logic of routing metrics on which every network is based (form local to the Internet) is now a “Self-Organising Network”? Seriously? Q: Document storage on the blockchain? Ok, let’s assume they are encrypted and the encryption is air-tight. BUT if they are openly stored — anyone can see them and use for their own purpose (like to get a credit or a car using your personal information). And what if the encryption gets broken or the key to the encryption compromised? What if quantum computers come online? Who will re-encrypt the entire blockchain to keep these documents safe? All this data will suddenly become exposed — permanently! Q: The “Our Ecosystem” section of the site. Where are any links to projects? Or even project names. So no one deleted their old whitepaper from the server? Would it be so difficult for them to do? Looks like they’ve had since August 2017 to write a real, detailed, comprehensive whitepaper… and didn’t. Q: They don’t show percentages or even the mechanism of miner rewards. Just: “peers are financially incentivised to…” and that’s it. WTF? Q: Where are their tokenomics? On what will they spend their ICO money? Q: They promise that the system is protected against high transaction commissions even at high intensity usage of the network. Theoretically, 5,000 TPS on a 100mbps network. How is it protected? What commissions are established? Who establishes them? Q: They say this platform is really good for authorizing various documents. So other platforms/blockchains are not? Can’t quite call this a scam since they do have an API that can be tested. They even have a few dApps on this API. But there are just too many questions. The whitepaper is very vague, nothing specific, much empty talk. What they position as their advantages are not innovative since other projects already realized them. *Disclaimer: The above audit is not in any way financial advice or a solicitation to buy — it’s merely our collective opinion that we are kind enough to share with you. Don’t make us regret that.